4K (UHD or Ultra high-definition) HD TVs have been available for a few years now, but I’ve consistently warned against buying them. Being an early adopter has its time and place, but 4K does not apply. I swore that 4K wouldn’t be feasible until a physical media format for the content was finalized, but I was wrong after 2015 4K TV CES. In 2015, 4K will dominate – not just on the show floor, but on showroom floors everywhere throughout the year and it’s clear that now is the time you can start to consider upgrading to UHD. 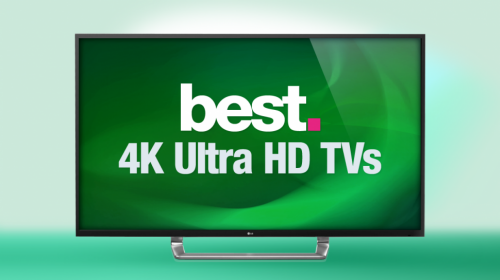 I am not saying that you should buy a 4K HDTV right now, anyway, here we’d like to write a review about TOP 10 4K TVs in 2015, who knows if it will be helpful for you oneday. Here is the flagship Samsung 4K TV, and what an incredible TV it is. The jury is still out on curved screens, and really there is no argument for or against them that applies to everyone. We venture to say that they are good for most people, but regardless this Samsung is an elite 4K TV beyond it’s perfectly curved screen. Samsung is battling the commoditization of the television with this model by taking all the usual specifications of a TV and enhancing them. They have done a fantastic job. For example, the refresh rate. While refresh rates are generally full of marketing propoganda, and the implication of a 1440Hz is total bs, this Samsung does conquer the problem that refresh rates are supposed to. You know that issue of “noticing” motion? When someone walks by on a good HD screen you can almost see the movement. It looks akward. Well, Samsung now dynamically adjusts the refresh rate and lighting of the screen when it detecs that kind of motion to counter it. This wasn’t possibly in the past because it required high end processors. So guess who makes high end mobile processors? Samsung of course. They have a quad core processor in this TV, and that brings up another exceptional quality of this 4K TV. It’s more important than ever to have a good processor in a TV because of all the smart features and the high end decoding required to deliver so many pixels at such quick rates. Of course Samsung Smart TVs are a mature technology and you can expect years of firmware updates to manage 4K content as it gets delivered to the market. With all of that considered, the image quality on this television is simply brilliant and we have to give it top rank. If only it weren’t so expensive. Look, if you have the money to spend and you want to spend it, go for it. This TV offers what is arguably the BEST picture quality of all the 2014 4K TVs. It’s also refreshing to see a TV manufacturer not lie about their refresh rates. Most 4K TVs have a 120Hz rate, and that is all they need. Image processing is what fixes motion blur, and Sony and Samsung both do a great job. It’s just that Sony doesn’t go around creating inflated “implied” rates as marketing nonsense. Anyway, beyond all that the image is simply unbelievable. Along with a beautiful product design and a touch based remote control, you have access to Sony’s streaming 4k media box which at the moment is one of the only ways to get true 4K movies. The edge lit LEDs make it so you won’t see light bleeding through the edges of your picture. Both Samsung and Sony differentiate their high end models with image processing and they both do a great job. If this model was not so much more expensive than the Samsung, we would rank it number 1. Presenting the 84 inch TV that costs as much a car. We know someone reading this wants an 84 inch 4K TV. So here you are, this is the best one. This IPS (In-Plane Switching) TV will provide a brilliant picture at most any angle. You also get LG’s thoroughly developed OS which will give you access to all major streaming services and you can likely rely on them to keep it updated for future $K content compatibility. Additional perks include streaming content to other devices and a pretty sweet universal remote control. The picture quality of Sony TVs is pretty legendary. It is difficult to recommend such expensive electronics, but we believe at least for the moment that Sony is on the forefront of providing actual 4k content. The Sony 4k streaming media box will only be compatible with Sony TVs. So if you are wanting a near 80 inch TV with 4k and at least some content made available to you in the next six months then this is the way to go. After all, a $500 $K streaming media box is not going to be a big deal if you spend just under $10,000 to begin with. In general you can not go wrong with a Samsung TV. Since they own FABs for most of the components in their electronics they can provide consumers relatively inexpensive high quality goods. So for a competitive price you get a Smart 4K TV with high end image processing. You also get 3D glasses included with this model, if you are in to 3D. Samsung TVs can often be considered future proof because Samsung frequently updates firmware to support new streaming services. We are believers in curved screens. Even if it is part placebo effect, they give you better contrast and absolutely make you feel more immeressed in the content when it comes to larger screens. We would not recommend a cured screen on anything under 55 inches. This particular model is 3D ready and comes with four pairs of active 3D glasses. At under $3,000 it is also one of the cheapest high quality curved 4K TVs on the market. You also get Samsung’s great reliability and future proof software systems. This is the perfect mid-range 4K UltraHD TV. This beautiful Sony 4K TV has virtually no bezel and a great looking base. With upscaled 4K and Sony’s legendary image processing you are guaranteed an absolutely beautiful picture while you wait for more 4K content to become available. The Sony 4K media box will also work with this TV. For a high end picture quality and relatively “small” 55 inch screen, you get quite a bit for your money with this model compared to other Sonys. Still, it is pretty expensive. The entry level LG 4K TV models offer a unique version of WebOS that when matched with a high end Internet connection is extremely fast. You will find the TV turning on in seconds and having all of the streaming content you want available immediately. This includes everything NetFlix has to offer as well as Amazon Prime Instant Video and Hulu or Hulu Plus. There is also practically no bezel making this one of the best looking modern TVs current available. Edge lit LED backlights also keep color and contrast even throughout the TV at most any viewing angle. Another affordable 4K TV, this 50 inch Seiki is under $600 and comes with great image quality. There are no amenities though. For example, no 3D and no Smart features. This is just the display and it has been manufactured with cheap LEDs and a cheap image processor. You are going to see motion blur, and you are not going to have any built in streaming services. But you are going to get a sweet deal on an entry level 4K TV. This is the entry level 4K TV that you buy to future proof your home. You don’t buy this TV if you want long term future proofing with built in software. Plan on getting a streaming box of some sort or a new media player in the future, you can’t rely on TCL to update firmware for this TV 3 years from now to get you access to whatever streaming service is hot. It’s also not going to have near as nice of an image as Samsung or Sony TVs which use high end image processing to offer better colors, less motion blur, and better depth/contrast. Still, this is a fine option for a low budget 4K TV under $1000. 4K is affordable.